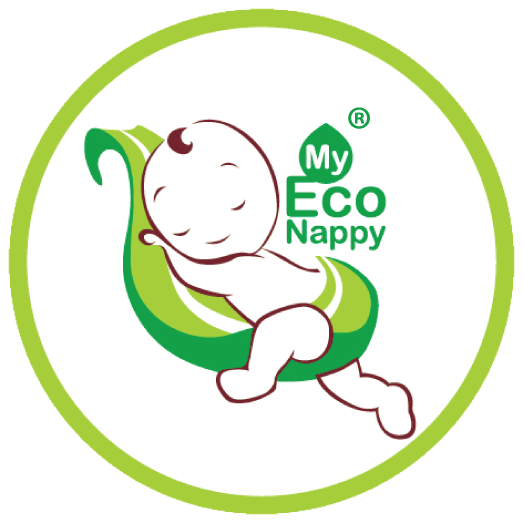 MyEcoNappy is a Malaysia's brand, innovated with hygienic and anti-bacterial bamboo fleece. Beside providing a solution for the waste each baby's diapers cause every year, it is also more comfortable and more economic. First of all, the cover is made of 'Cool Fit' fabric which is a material used by athletes' jersey. Thus, it is more comfortable and more importantly, it is breathable. Having the breathable fabric is so important for a child. 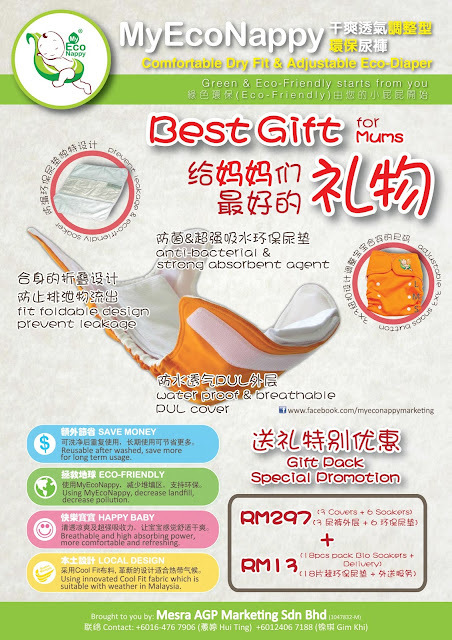 This avoid red rashes and sweaty feeling caused by non-breathable materials. You know, you want your baby to be happy. The Eco-friendly soaker is made of bamboo fleece which is way more hygienic compare to plastic pampers. Beside, the fleece itself is an anti-bacterial agent. Not to say more, it is more healthy and protect your baby's skin from infection. Meanwhile, it is super absorbing too. Why it is called EcoNappy? Do you aware that babies' waste will later go to the landfill together with the diapers which are non-biodegradable. Meaning, they will still remain the same after yearssssss... And what come together with landfills are landslides, flooding and other problem which will then affect on human race itself. Yeah, I know some people wouldn't want to wash the nappies, but it wont be a problem to you who have a maid right? 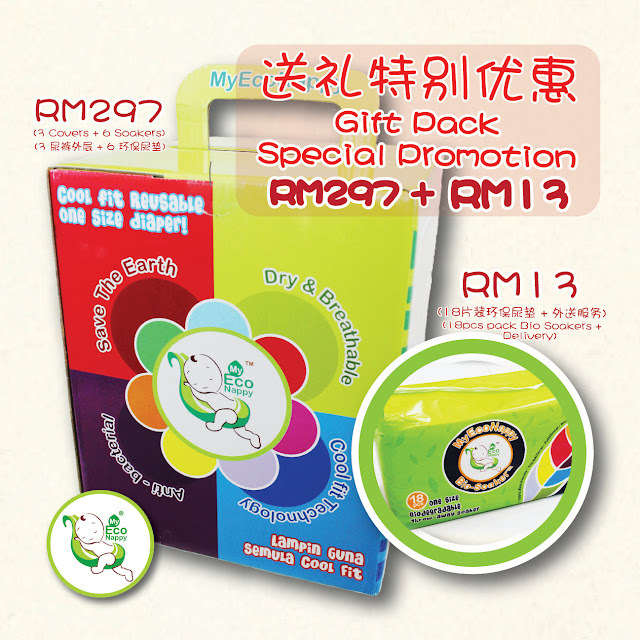 Now even have promo on Promo Pek come with 3 covers and 6 eco-soakers! Also, it actually helps to save money on diapers. As calculated, a baby uses 6-8 diapers (consider RM0.90 per diaper) a day and up to 2 years, all these will cost up to RM4000. 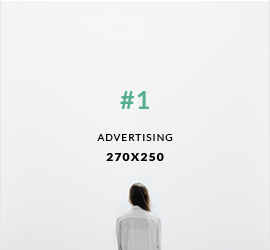 But MyEcoNappy is just one shot purchasing, so eventually, you do save a lot. So I think it made a good gift to your friends and family who are becoming parents too! The snap buttons and snug fit edges enable you to adjust the nappies when your baby grows. For a normal growing baby, it can be used until the baby is 2 year-old. 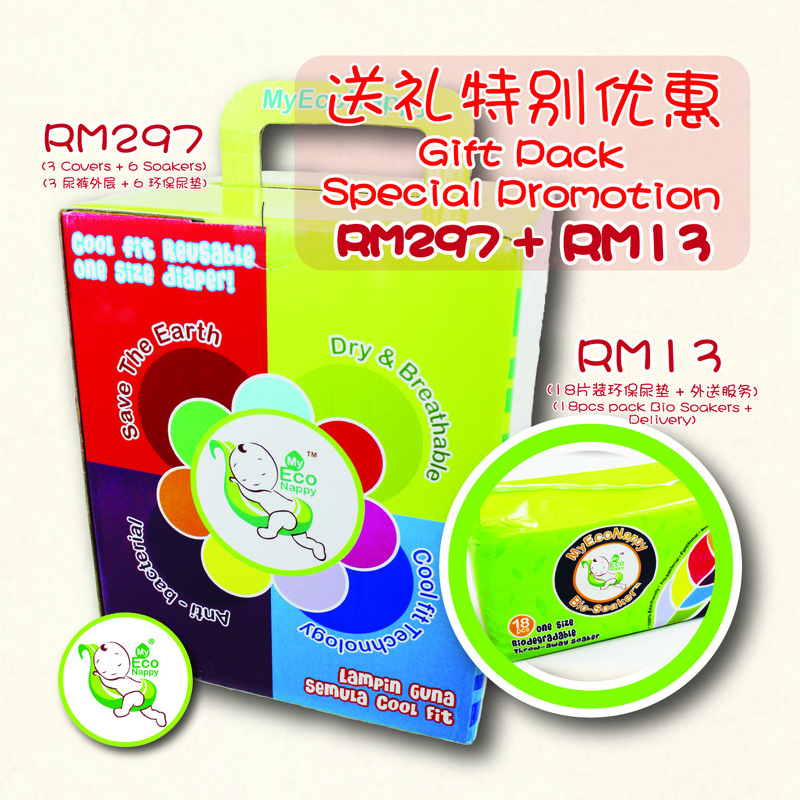 Now even have Gift Pack Promotion! Please like My Eco Nappy Marketing for more information!